One more variant from the next generation of lip balms!! Yes, it is Maybelline baby lip balm in Rose Addict. I got this few days ago and must admit that in love with since then. 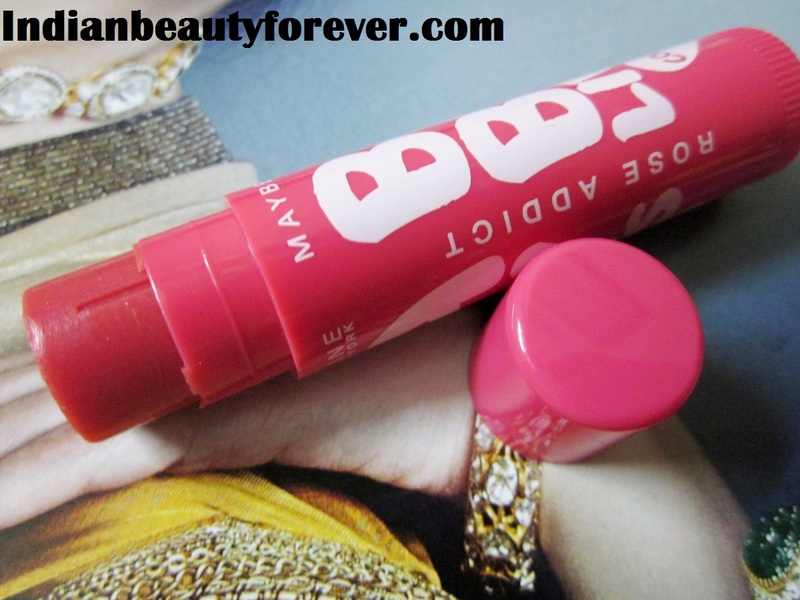 I had already reviewed Coral flush baby lips and many more to come. As they are absolutely amazing as a lip balms and keeps lips hydrated well. Most of you will be using them already. 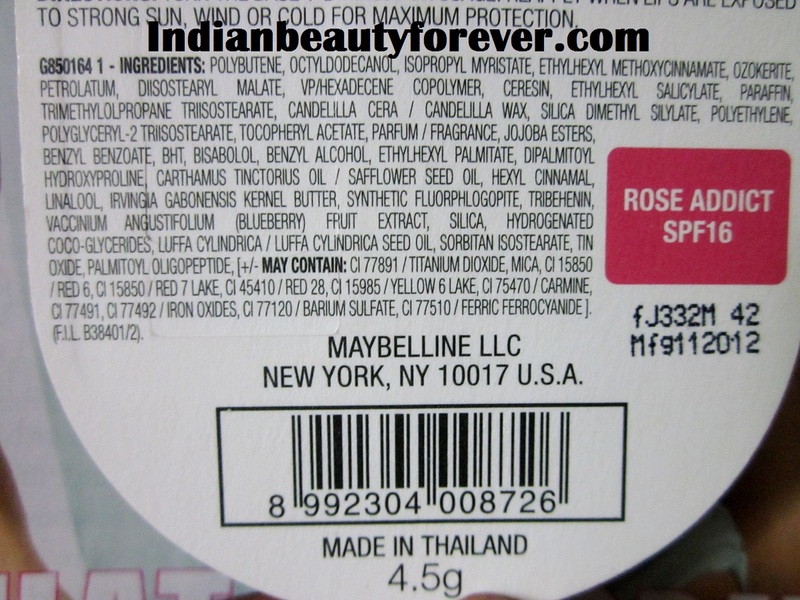 Maybelline baby lips are priced at 150 INR though less on some online shopping sites and some of their variants/ flavors are 125 INR too. 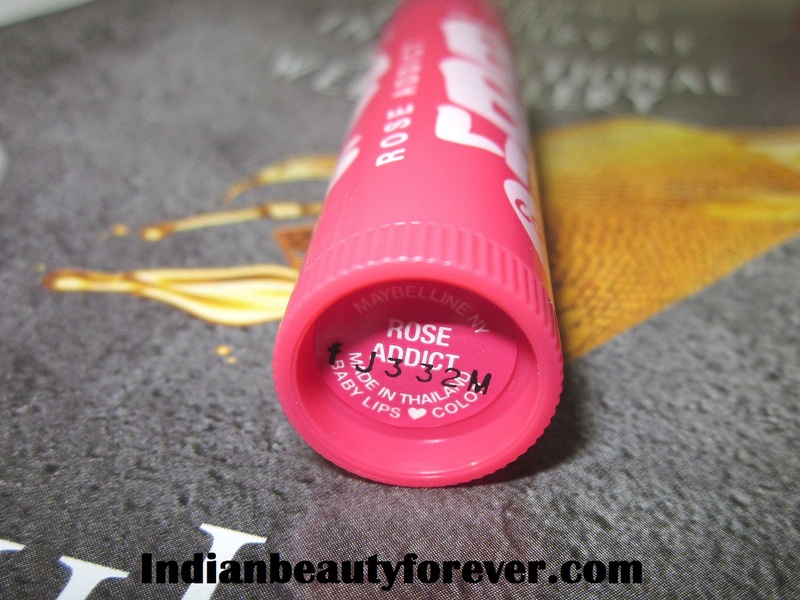 My Experience: After Lotus Herbals Velvety Rose this is my second Rosey lip balm. I am using both of them as I keep one in each of my bags and even clutches and some others like Jovees, Vaadi, Himalaya etc. They are like savior for a person with very dry lips! The outer packaging of these bay lips are of the same color that is there inside. Like Coral flush was orange and this one is a Rosy pink color pack, Beautiful and cute to look at!! I don’t know but apparently, I am a bit biased towards Maybelline products since, most of them are very affordable and of great quality. What you say?? I heard a YAAY!! Rose Addict is a pink red tube but when you apply the color is very sheer so it’s going to be suitable for those of us who don’t like colored lip balms. On the lips it gives a very faint pink color that is not visible much but when it comes to healing dry lips. Have a look at the swatch below, it's sheer! It is a amazing. It isn’t very thick or liquidy like some of the lip balms but when you apply it is there on the lips even if you lick your lips a couple of times. I am looking forward to try Berry crush and Cherry now. Take:Maybelline baby lips in Rose Addict is a fantastic product that has a cute packaging, sheer color, high on moisturizing properties and of course a decent amount with so many options to choose from. All these makes it is must try and highly recommended product! Try them Meghu.. you are going to love them:) They are affordable and very moisturizing! I have that one in Mandarin, they look similar to baby lips na. Honestly they are just like baby lips in formulation too!. hehehe.. i have mandarin too.. wanna try the new baby lips too nw :) i feel the formula of baby lips is slightly diff than the older ones only in terms of color pay off!! I want to try berry crush now! this one seems nice! 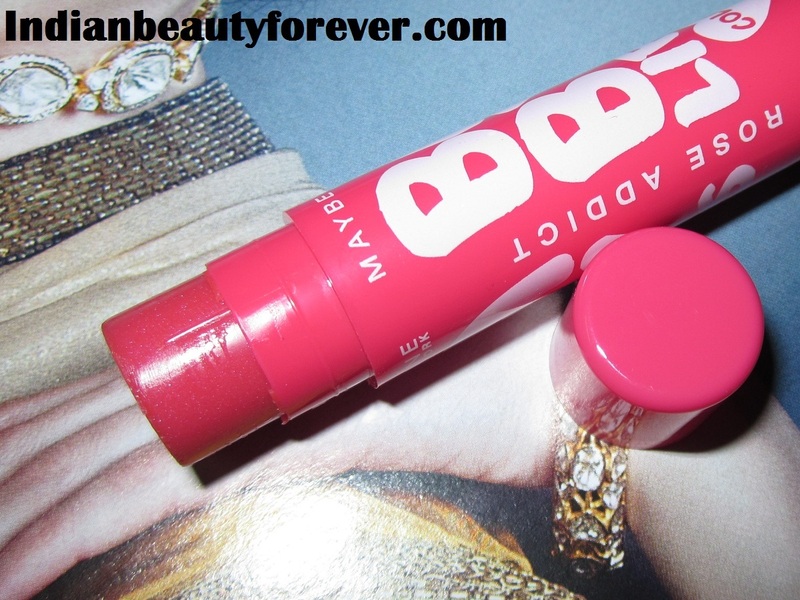 you cant go wrong with baby lips ever!! Exactly!! they are great for my dry lips and as a base for matte lipcolors! I too have dry lips and you tempt me to try these every time you review one of these. Actually, I was looking at this last night. Still in just 'planning' phase as medplus has some delivery issues in my area. 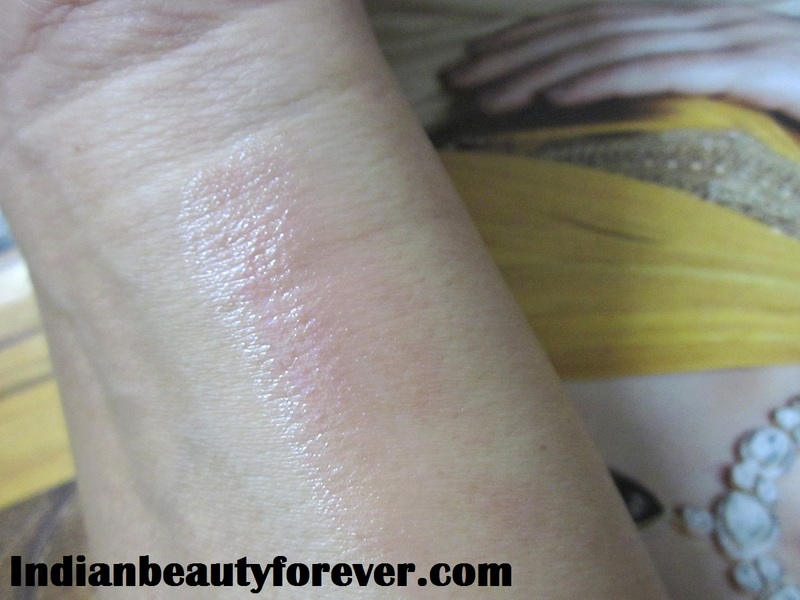 I love the light pink tint showing in the swatch. he he.. Try them Gagan, you will like them. I don't know how many times a day I slather this! I remember you told me once about the delivery issues. I want to try their berry crush now! Mango pie has a very cute double color packaging! Try Maybelline Color Bloom balms if you need more color. Thank you for that Heena, I have seen bloom many times but haven't tried. Maybe I will buy them tomorrow from the counter! Thank you Vipra, Coral flush was my first shade and I am using this now.lol :) Love coral flush! It's similar to maybelline color and care in Mandarin! Hope you are fine my dear!! Niesha this was my first baby lips ! I lost it in 2 days :P Then I got berry crush ... i can safely say I have no idea that is either ! 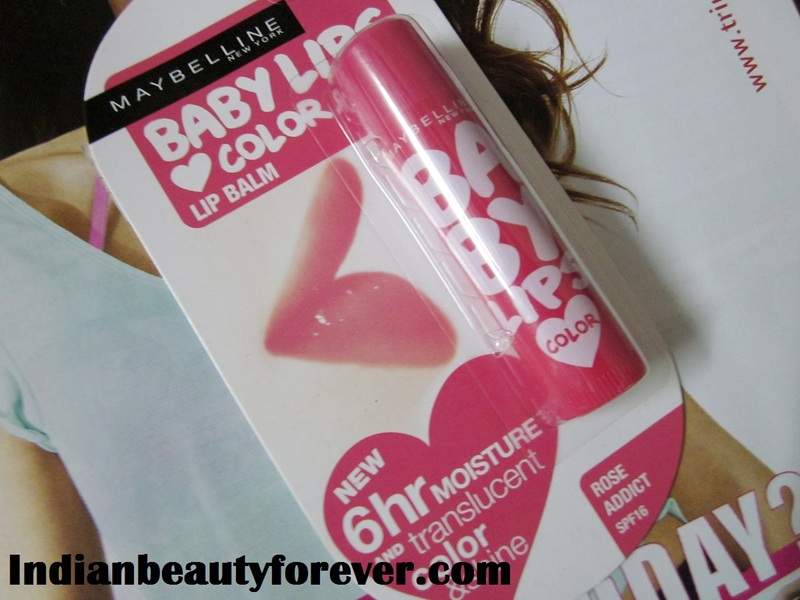 :P :P and i agree I tend 2 be biased to Maybelline too .... awesome products and affordable too ! :) It happens with with me too with some of the products. Baby Lips are my HG lip balms :) Rose addict and Mango pie are my favorites. Mine too.. :) I loved the ones which are more colored.